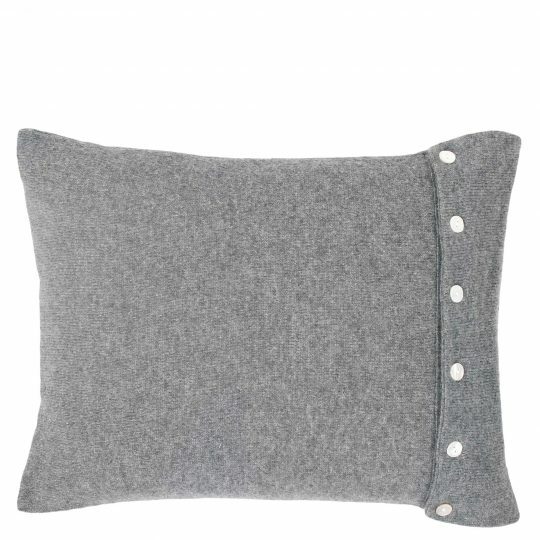 The reduced look of the cushion cover PURITY enhances the combination of fine, soft cashmere and a decorative mother-of-pearl flap button tape, which closes the cushion cover. Size 30x40 cm including the down filling - Contains non-textile parts of animal origin. Colour: 940 medium grey mel.